Extends the skills of any professional in a DevOps environment to help team members and other stakeholders in the organization apply DevOps concepts and principles within their organization. Recent developments in IT methodologies have given rise to a spate of concepts, such as Agile, Scrum, DevOps, and Lean IT. These methodologies enable the realization of the customer value more rapidly than traditional methods. Like all other hyper growth trends in our IT industry, adoption of DevOps is also not immune to potential misunderstandings and misconceptions. Besides the relevant tooling and technology component, DevOps predominantly entails a cultural shift towards a new mindset, behaviors, a new organization, and a new way of working. Organizations which do not truly comprehend the essence of DevOps end up with transformational failures, often leading away from the value of DevOps. 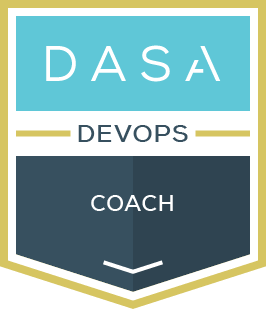 DASA DevOps Coach certification extends the skills of any professional in a DevOps environment to help team members and other stakeholders in the organization apply DevOps concepts and principles within their organization. Professionals who have working knowledge of coaching, hands-on experience in helping organizations adopt DevOps principles.  Experienced DevOps professionals who have helped organizations actually transition to DevOps -preferably guided by the DASA DevOps competence model. Professionals who have coached in 2 or more organizations, departments, or programs. Professionals who have some formal or informal education about coaching.